Dr. Max Spicer is the Managing Partner and Senior Veterinary Surgeon at The Veterinary Hospital, Dubai. Born and educated in England. Having a love and deep compassion for animals since early childhood, he naturally pursued a career in animal welfare as a vet. Max qualified from Liverpool University, UK with a first class degree in veterinary medicine and veterinary science in 1990. 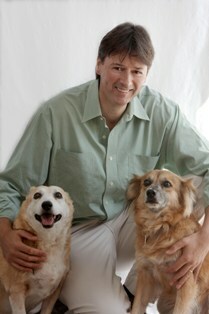 For the last 22 years, Dr.Max has specialised as a vet in companion animal medicine and surgery. After 7 years veterinary work in the UK, he joined The Veterinary Hospital in 1997. He is married with 2 children, has a 16 year old dog Millie and 2 kittens James and Jake. His special interests are in companion animal medicine and surgery, especially dermatology (skin disease), orthopaedics ( bone diseases), ophthamology (eye disease), geriatric and juvenile medicine.